Personalized 15x6 House Number Sign - - one-line address number plaque holds up to seven 4" high numbers or letters. Made in USA. Wall mount sign is made from sturdy and UV-stabilized laminated acrylic. 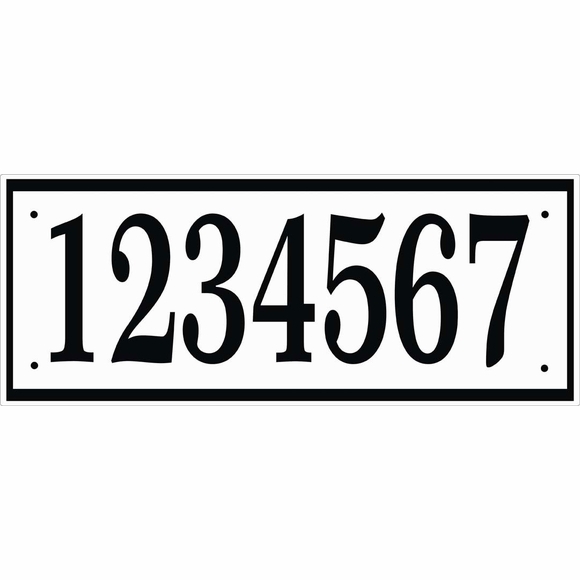 Narrow black or white border is the same color as the street numbers and defines the rectangle shape. Dimensions: 15"W x 6"H x 1/8". See Related Products for larger and smaller versions of this sign.